Randy Hillier, the Progressive Conservative MPP for Lanark–Frontenac–Kingston who has suspended following controversial remarks he made at Queen's Park, has now been permanently expelled from the party's caucus. Randy Hillier, the MPP for Lanark–Frontenac–Kingston, has been expelled from the Ontario PC Party's caucus. Hillier was originally suspended from caucus for allegedly saying "yada, yada, yada" to a parent of a child with autism after a tense question period on Feb. 20. A caucus meeting on March 5 ended with no decision being made on Hillier's future, other than that he would remain suspended. But on Friday, the Progressive Conservatives' caucus chair Daryl Kramp told Hillier in a letter that he had been permanently expelled. The letter said Premier Doug Ford was disappointed Hillier "continued to escalate the situation in public" and showed "an ongoing unwillingness on your part to be a team player and to work constructively on finding a solution." Hillier did not immediately respond to interview requests Friday, but posted on Twitter late in the afternoon that he learned of his expulsion while meeting with constituents. "I'll never apologize for putting my constituents first. I was informed of the decision while I was meeting with the people that sent me to Queen's Park in the first place," he wrote. "I'll have more to say soon, and you can rest assured I won't yada yada over the best parts." Prior to his expulsion from caucus Friday, Hillier maintained his Feb. 20 remarks were directed at the opposition New Democrats, not a parent. He has also claimed he was not suspended for any comments he made at Queen's Park, but rather because of tensions with two of Ford's senior advisors. A March 10 letter from Ontario PC Party president Brian Patterson to Mark MacDonald, former president of the Lanark-Frontenac-Kingston constituency association, outlined multiple concerns the party had with Hillier before today's expulsion. Hillier having the lowest meeting attendance of anyone in caucus. Not attending the Ontario PC convention or caucus retreat. Being absent when the legislature was recalled over the Christmas break to vote on back-to-work legislation. Speaking to the media to express his dissatisfaction with the government. Not attending question period "warm-up meetings." Allowing a Liberal independent member to ask a question in his absence during question period. 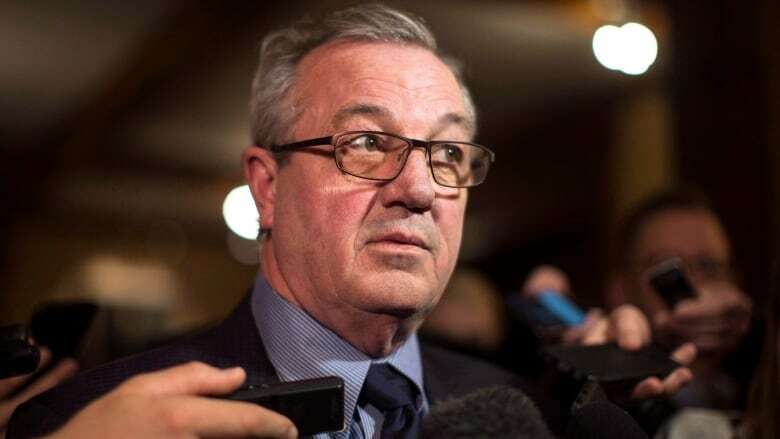 Despite these concerns, Hillier also had "more one-on-one meetings with the Premier and members of the Premier's staff than any other member of caucus" to discuss important matters, the letter said. It ended saying Hillier could only return to caucus if he accepted responsibility for his past behaviour while making a "drastic change in his conduct going forward." MPP Stephen Lecce, who serves as parliamentary secretary to the premier, echoed the concerns in the letter. "Mr. Hillier did not show up for work. He did not show up at our convention, he did not show up at caucus retreats, he did not show up to work when we had a potential strike at OPG that produces 50 per cent of our energy. "So the message we are sending to him is that when you're not a team player, when you're not working in good faith with the government and when you're not serving the interests of your constituents there is going to be accountability.," Lecce told the CBC in an interview.